Nick Schultz | The Phoenix Senior outside hitter Will Tischler goes up for a kill. Despite a rough first set, the No. 7-ranked Loyola men’s volleyball team (4-1) bounced back to upset No. 5-ranked Pepperdine University 3-2 at Gentile Arena Friday night. Loyola senior outside hitter Will Tischler tied his career high with 20 kills to go along with 12 digs — his second double-double of the season. Senior outside hitter Collin Mahan also recorded a double-double, racking up 18 kills and 12 digs, while sophomore setter Garrett Zolg tied his career high with 53 assists. Loyola got off to a slow start, losing the first set 25-17 and committing six service errors and hitting at just a .185 clip. But the Ramblers regrouped during the break and came back to take the second and third sets 26-24 and 25-17 and grab a 2-1 lead in the match. The fourth set went back-and-forth, but Pepperdine came out on top 25-22 to force the decisive fifth set. The Ramblers were up 8-6 when both teams switched benches, but went on a 7-1 run to take the final set 15-9 and seal the victory. Pepperdine, located in Malibu, California, falls to 4-1 on the year. The Waves were led by David Weiczorek’s 21 kills, but no other player reached double figures. Hulse graduated from Pepperdine in 2009, and said he hadn’t thought much about defeating his alma mater. After tying his career high, Tischler said he was focused solely on doing whatever the team needed of him in order to get the win. 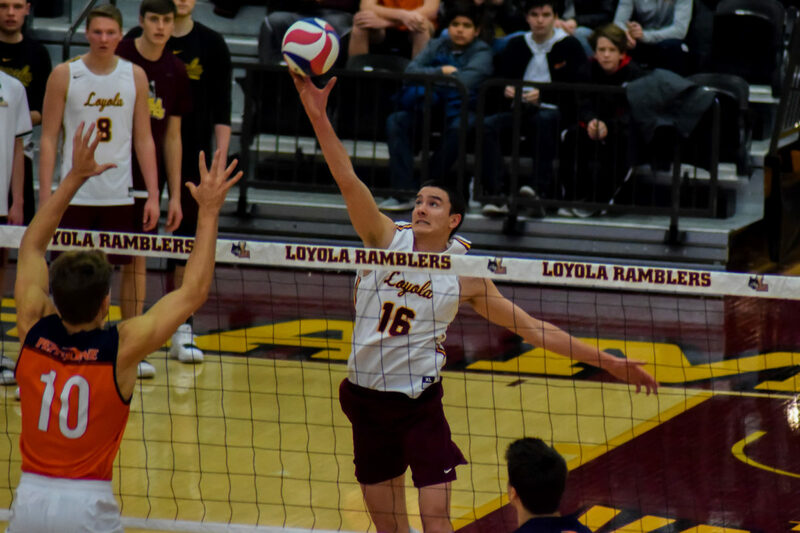 Over 1,300 fans came out to Gentile for the match — the biggest crowd at a Loyola men’s volleyball match since Jan. 13, 2018 when 1,002 fans watched the Ramblers fall to Long Beach State University. Tischler said the crowd’s intensity played a major factor in Loyola rallying back after the disappointing first set. 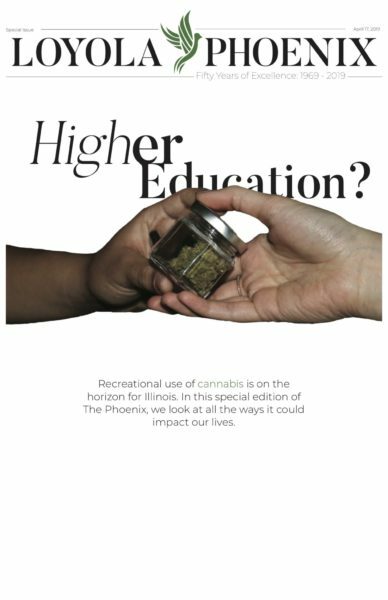 “I just think it was so cool that people not from campus like [from] the community coming out and watching and supporting us and having our back,” Tischler said. 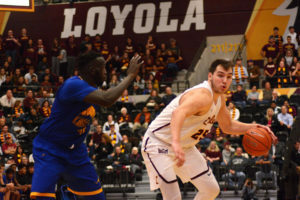 Loyola is next scheduled to play University of California, San Diego Jan. 19 at Gentile. First serve is scheduled for 7 p.m. and the match will be broadcasted on ESPN3.